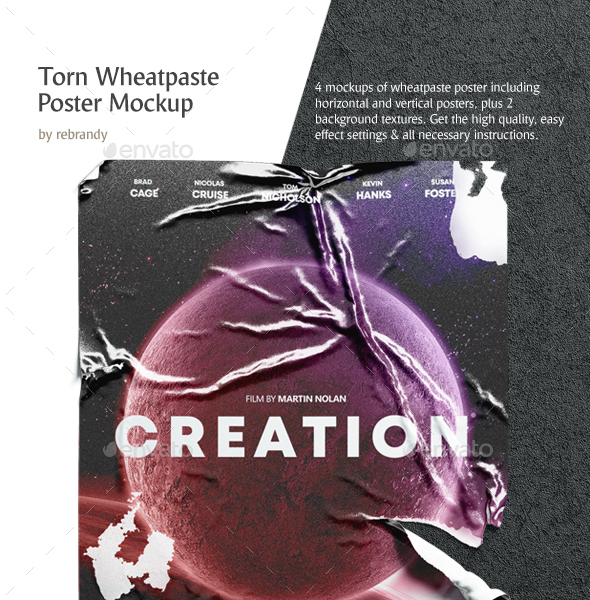 We carefully modeled, crumpled and then ripped the Wheatpaste Poster Mockup so that you can effectively show your movie poster, affiche or event poster design in a few clicks. 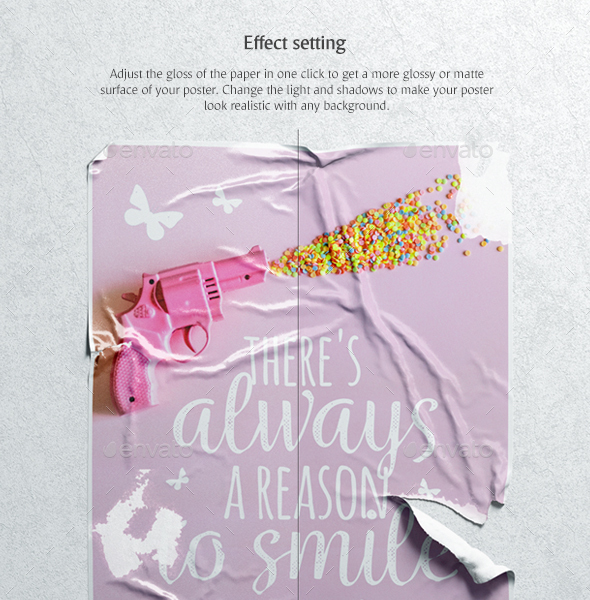 Convenient effect settings allow you to get glossy or matte paper for your poster and also you can choose and quickly apply two unique minimalistic concrete wall texture. 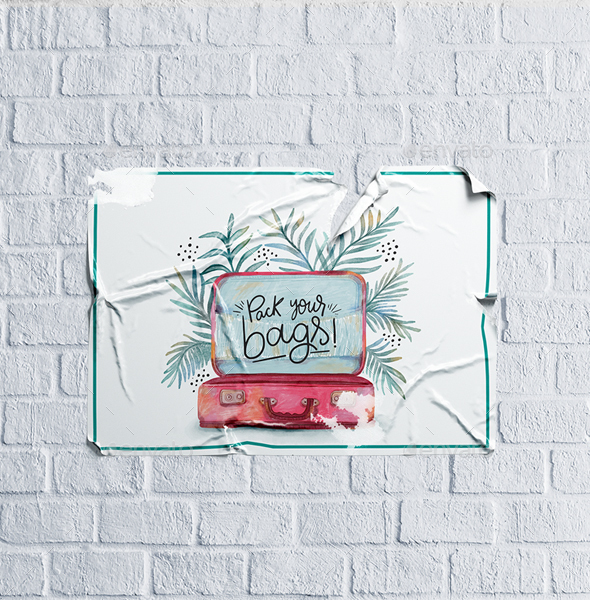 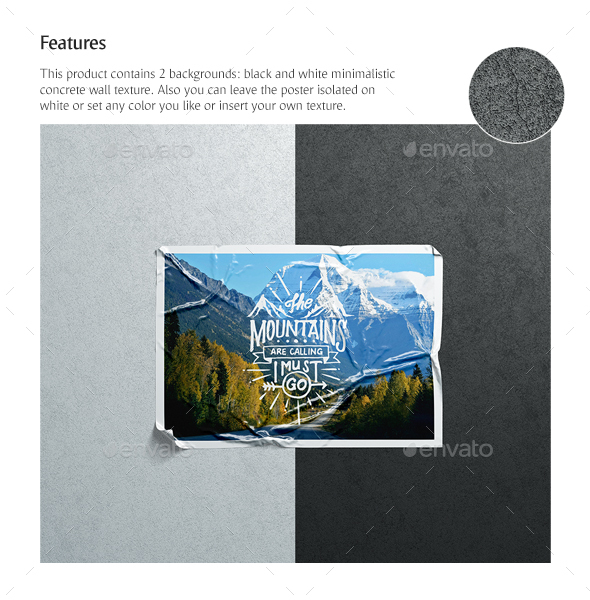 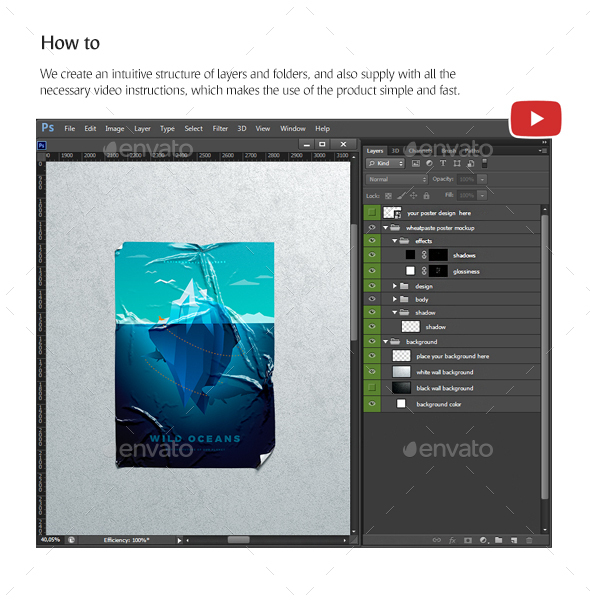 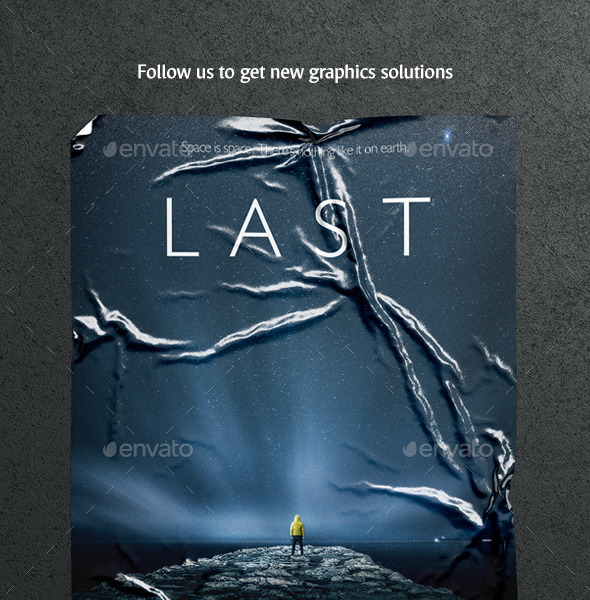 The product contains 4 mockups with horizontal, vertical, torn and crumpled wheatpaste poster, and also 2 unique textures background. 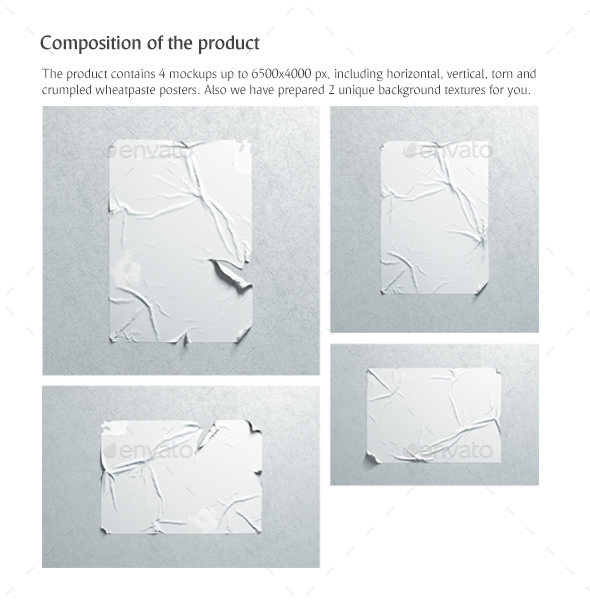 Important: The textures included in the product are shown on the features slide. 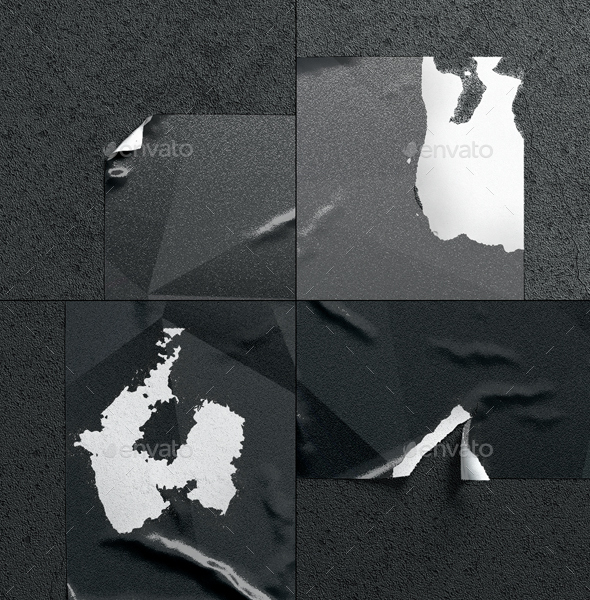 Other patterns and textures used in previews are not included in product.